Our Tax Resolution Law Firm is experienced in all matters relating to tax resolution, tax dispute, and general issues relating to IRS tax and debt relief. Our law firm is extremely knowledgeable in the local, state, and federal tax code, and can help you today! Our legal team works with clients throughout Michigan, Oakland County, Wayne County and Beyond. If you have an IRS tax case please contact us immediately. Let’s get started rebuilding your financial future. Innocent spouse relief can be a need for both married and divorced citizens. 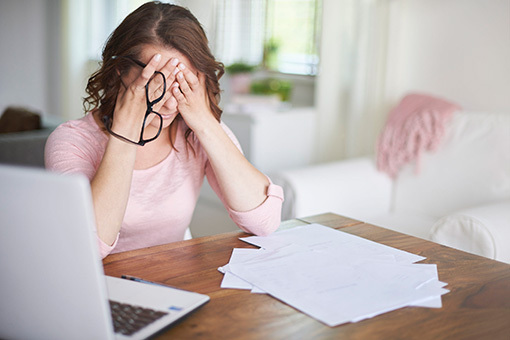 Many husbands and wives choose joined taxes, which means either spouse can face the legal consequences of a filing error. The IRS states are lawful ways to avoid the penalty, which includes innocent spouse relief, separation of liability, and equitable relief. Given it matches the name of the umbrella term, this is the most well-known form of innocent spouse relief. Innocent spouse relief is needed when government records show that an individual owes more tax money due to their spouse’s mistake in reporting income. To qualify for this financial alleviation, one must show that they had no knowledge of the false information on the report and that the discrepancy was no fault of their own. Unfortunately, people can also need relief from an ex-spouse’s oversight. Essentially, this term means the same as innocent spouse relief, but it applies to divorcees and couples who live in different locations. Think of this term as innocent ex-spouse relief, in a sense. The qualifications for separation of liability are the same as innocent spouse relief, except people are only granted separation if a spouse has passed, gotten a divorce or other legal separation, or lives away from their partner. Of course, the government does not grant separation of liability to everyone, but there are other options to avoid overpaying taxes. This form of innocent spouse relief is for both married and separated couples. Because it can be given to more people, people who request must meet a much longer list of requirements. Like the other two forms of innocent spouse relief, equitable relief requires reasons as to why it would be unfair for one spouse to be held responsible for unpaid fees. The full––and incredibly lengthy––list of requirements is available from the IRS. Even though equitable relief is given to spouses and divorcees, marital status does affect eligibility. Couples who are no longer together are more likely to gain relief. Income is also considered, and those with less money have a higher chance of equitable relief. Another saddening determinant of whether or not a person gains equitable relief is abuse in their relationship. Those requesting equitable relief must give reasoning or proof that their abuser’s actions stopped them from providing an accurate tax report. There are many other aspects that the law takes into consideration, such as physical and mental health, injury, and payment history. Although these options are available, please be careful and honest on tax returns and reports. However, everyone makes mistakes, but only the one who errs should be held responsible. Keep in mind; these are just general guidelines of innocent spouse relief, and laws may vary from state to state and country to country.